About this object Kentucky Representative Henry Clay served his first term as Speaker in the 12th Congress. The 12th Congress (1811–1813) faced two major threats as Great Britain and France continued to disrupt American trade, and the western Indian tribes began mobilizing against the U.S. under the direction of the Shawnee leader, Tecumseh. 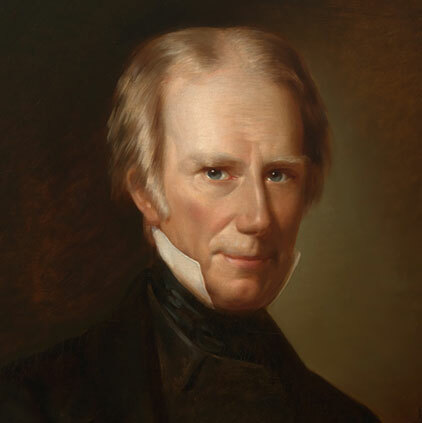 A new generation of congressional leaders, such as Henry Clay of Kentucky (elected Speaker on his first day in the House) and John C. Calhoun of South Carolina, championed an aggressive response to the crises. Their legislation authorized the expansion of the armed services, but by the time America went to war with Great Britain in 1812, the country remained ill-prepared. On this date, the House adopted a war resolution against Great Britain and Ireland, marking the first time it exercised its constitutional power to declare war.